C.M.T. DI CICERI E MASCIARDI S.N.C. DUE EMME DI MAGGIONI & C S.R.L. PUNTO SERVICE S.N.C. DI BALZARETTI CRISTIAN & C.
EMMEGI SNC DI STUCCHI GIOVANNI E C.
HYDROSTILE S.A.S. DI MATTEINI B. & C.
2.0 RESCO DI RIPOLDI KATIA & C S.N.C. 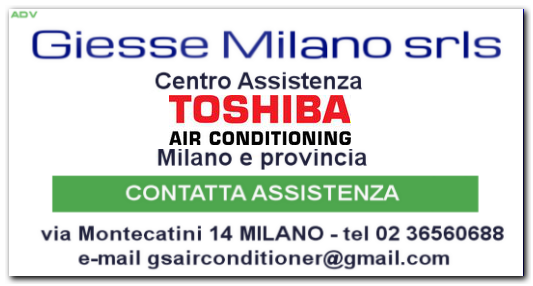 CLIMA SERVICE DI SEGATO A. & C. S.N.C. NUOVA CLIMAIR DI ANGELO ZITO & C. S.N.C. CACCIAPUOTI ALFREDO & C. S.A.S. A.C.R. BENITO DE SANTIS S.R.L. CLIMA 2000 S.R.L. DI CERVATO M. & C.
MACO GROUP ASSISTENZA S.N.C. 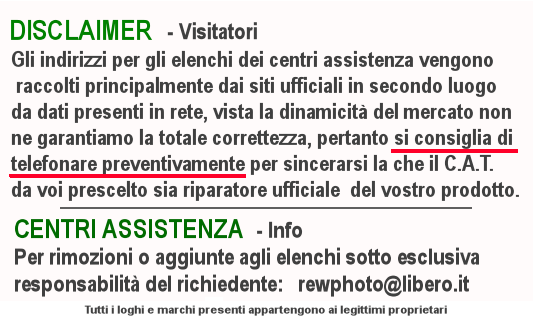 DI COGHETTO MATTEO & C.
MORO & COSTANTE DI BUFFA D. & C. S.A.S. CIGALLINO PIERO PAOLO & C. S.N.C. C.A.B.E.C S.A.S. DI BIANCHEDI VALENTINA & C.
AIR MAX DI MASSIMO PELI & C. S.N.C. IDEACLIMA S.A.S. DI IORNO ANTONIO & C.
MG IMPIANTI - VIOLA S.R.L. HECOS SNC DI FONTANA G. E VIRGILI A.
ODOARDI S.N.C. DI ODOARDI F. & C.